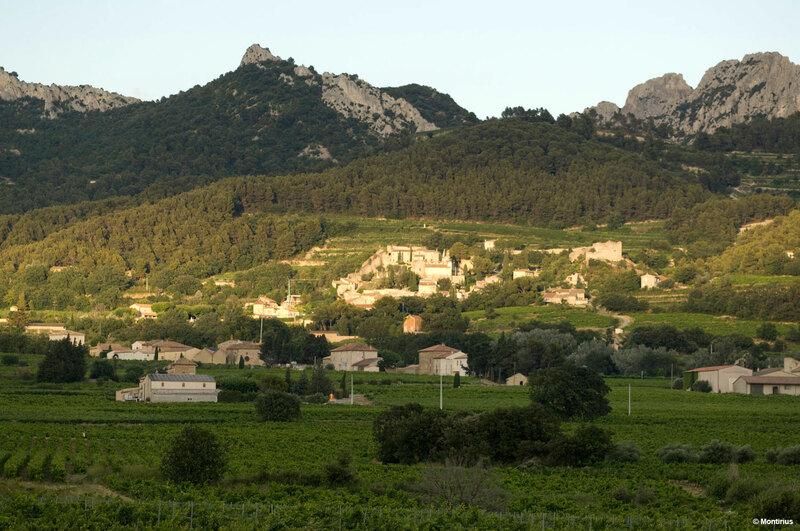 Gigondas extends over 1233 hectares. It was classified ‘cru’ in 1971. The main vine varieties are Grenache, Syrah and Mourvedre. 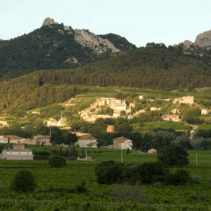 There are two types of Gigondas wines, red and rose. We only produce red Gigondas wine. We have three vintages which are a blend of mostly Grenache and Mourvedre. We called this wine ‘Terre des Ainés’ because the big parcel of 10 hectares was always handed down to the first of each new generation for the last 5 generations. Age of Vines : Average age 75 years old (Grenache 85 years old). Parcels : 10 hectares of 3 different parcels. Soil type : ‘Garrigues’ or plain soil, blue clayey marl and yellow sand and sandstone. Aging : Cement vats for two winters then in bottles. 100% oak free. Winetasting : A lovely deep dark red wine. On the nose it has hints of liquorice, violets and black fruits. In the mouth, it is both delicate and powerful. Tannins with a noble texture. The aromas found on the nose are also discovered in the mouth. Vines situated in a corner of a large 10 hectare parcel called ‘La Beaumette’ gave birth to this wine. In fact, in 2004, thanks to differing maturity these grapes were harvested and vinified separately from the rest of the parcel. The soil, sub soil, exposition, slope, vine varieties and the age of the vines are identical in the whole parcel. Even the indigenous yeasts analysed in the following years were identical. We made this ‘discovery’ during our winetasting and pre-blending of our Gigondas vats after the malolactic fermentation. Compared with the other two vats from the same parcel, this new arrival surprised us in its fullness and harmony despite its youth. We thought that the blending of the three vats would give an even more complex wine, which was not the case. What was the difference? We had two choices, to do a blending identical to other years and let this gift of nature disappear, or to share our new discovery, despite not understanding why, with the Montirius amateurs by doing a separate bottling. We did not know if this phenomenon would be reproduced. This is how this vintage was born; it is a ‘confidence’ in the location. Winetasting : This wine is the end result of one vat. It is a masterpiece of balance, structure, aromas, spices, and its roundness and elegance. In its youth and in its future maturity, it will give great pleasure. For us it is a gift offered by Nature. It is Unique. It is a selection of our youngest Gigondas vines. We gave it the name ‘La Tour’ because one of the parcels in the locality has this name. Aging : Cement vats in winter then in bottles. 100% oak free. Winetasting : Hints of spices and violets. A lovely drinkable young wine with elegant and melting tannins.